For car buyers who demand stellar performance from their vehicle without sacrificing on style, the 2018 Subaru WRX near Denver Colorado is an excellent option to consider. This sporty sedan has been making waves in the local market and has been prominently featured in Denver area 2018 WRX news stories. 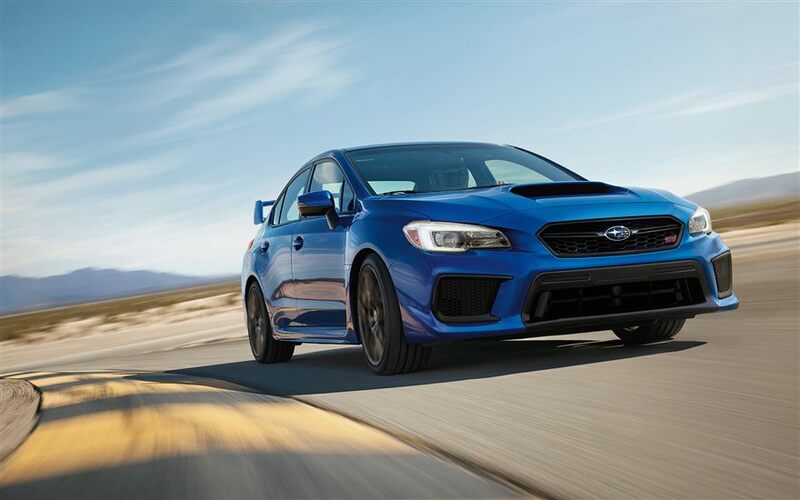 With a base price of $26,995, the 2018 Subaru WRX has been designed to thrill and delight drivers with an incredible experience in all road conditions. At Flatirons Subaru serving Boulder Fort Collins Denver CO, you can take a closer look at this incredible vehicle and can take it for a spin to experience its performance and handling. When you visit Flatirons Subaru serving Boulder Fort Collins Denver CO, you will be able to admire the sleek, contoured exterior of this vehicle. You can browse through the many color options available for the exterior, and a few of these include blue pearl, dark gray metallic, crystal black silica, ice silver metallic lapis blue pearl, pure red and crystal white pearl. The look of the 2018 Subaru WRX near Denver Colorado is enhanced with 18-inch performance wheels available in a dark metallic gray hue. As an upgrade, you can choose to invest in 19-inch alloy wheels. Drivers will love driving the WRX at night with its steering responsive LED headlights and high beam assist that are designed to track the direction of the vehicle for enhanced visibility. There is also a sporty performance package available as an upgrade that can take the look of your WRX to the next level, and you can view the features when you visit your local Subaru dealer in the Denver area. 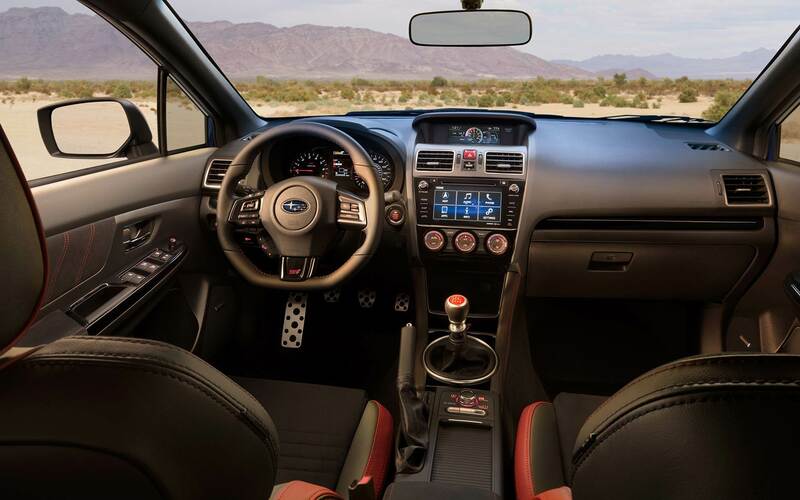 Everything about the 2018 Subaru WRX at your Boulder Subaru dealer will impress you, and this starts with the well-designed interior. There is ample space for five adult passengers to sit in this roomy sedan, and you will be impressed by the durable yet comfortable checkered black carbon cloth seats. Leather and ultra-suede leather seats are available upon request. The driver's side seat is available with an eight or ten-way power seat adjustment feature so that you always feel comfortable on the road. The red and black dashboard features numerous gauges with a sport design look, and you can opt for a StarLink safety and security feature. Just a few of the other interior features that will impress you while you drive down the road are an incredible climate control system, an advanced entertainment and audio system, cruise control, illuminated vanity mirrors, differential controls at your fingertips, aluminum alloy pedals, stylish floor mats, keyless push-button start and stop function for the engine and more. 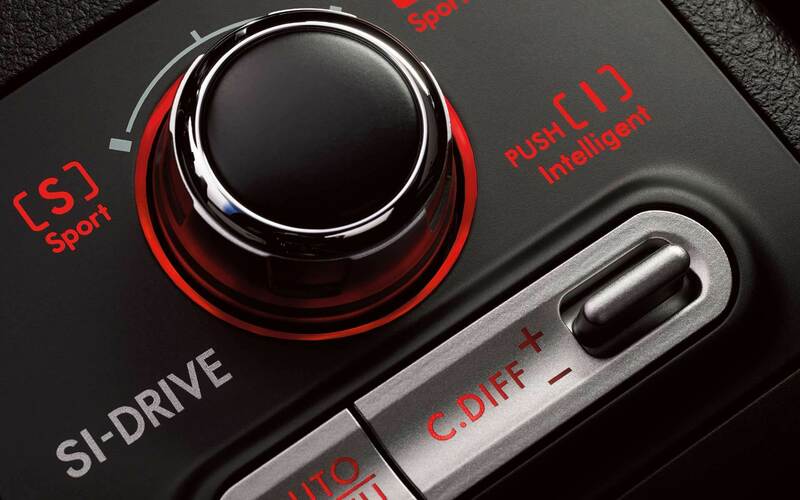 The steering wheel features controls for the sound system, cruise control, displays and Bluetooth connectivity so that you can stay safe on the road. As you may have heard from Denver area 2018 WRX news, this is a sedan that has been well-designed on the interior. When you speak with a friendly and helpful salesperson at Flatirons Subaru serving Boulder Fort Collins Denver CO, you can also learn about the incredible mechanical features in the 2018 Subaru WRX. Through your reputable Subaru dealer, you will discover that this well-designed vehicle boasts an ultra-quick steering ratio that results in exceptional responsiveness and performance. You will also benefit from an enhanced drive control central differential that promotes a smooth, rapid response to your steering control. Brembo performance brakes are also loaded into all models of the 2018 Subaru WRX near Denver Colorado. 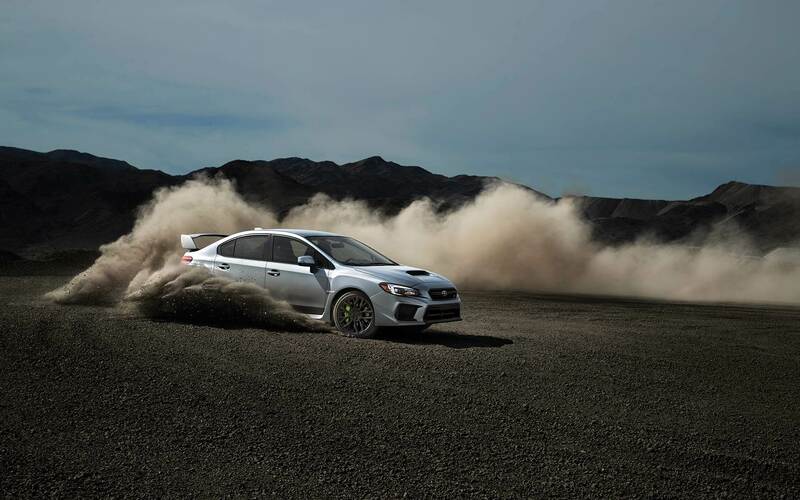 If you are thinking about visiting your Boulder Subaru dealer to learn more about what the WRX offers, you may be wondering how much power this sedan has. The base model is loaded with a powerful engine that boasts 305 horsepower and 290 pound-feet of torque. In addition, it is turbocharged with a high-capacity intercooling system, and this gives the engine maximum output and performance. 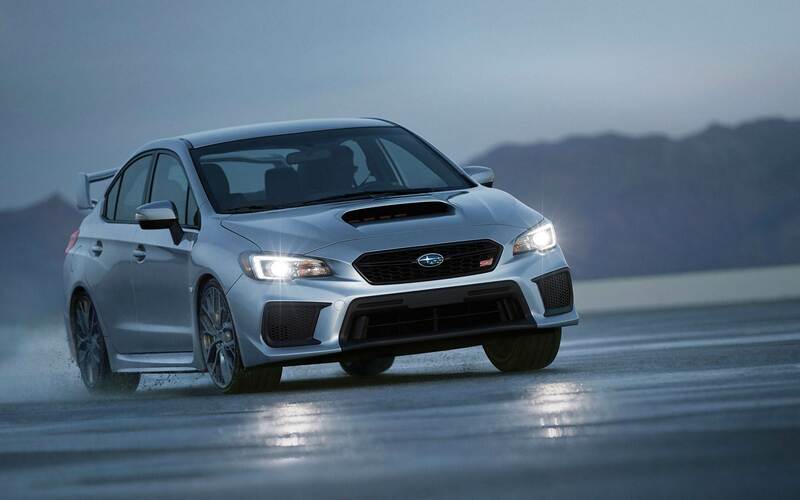 You can easily test drive this car when you visit your Subaru dealer serving Boulder Fort Collins Denver CO, and you can experience the performance of the base engine as well as upgraded engine types that are also available in the WRX. Safety is a top concern for many car buyers, and you may have been reading about Denver area 2018 WRX news in an effort to determine if this is the right vehicle for you to use. Whether you are planning to use the 2018 Subaru WRX as a commuting vehicle, a family vehicle or something else, you will love that this car has some impressive safety features that have been designed with intelligent technology in mind. When you visit your Subaru dealer to learn more about the WRX, you will learn that this car has a standard EyeSight Drive Assist safety package in all vehicles. It also boasts blind spot detection, a rear cross-traffic alert feature, a safety and security link system, air bags throughout the cabin and more. This is truly a vehicle that helps you to feel confident while you are driving throughout the Denver area and beyond. It is challenging to find the perfect vehicle that meets all of your needs and that appeals to your sense of style. However, when you visit Flatirons Subaru and take a closer look at what the 2018 Subaru WRX near Denver Colorado offers, you will see that this is the ideal sedan for you to purchase. Stop by your Boulder Subaru dealer today to learn more about the new WRX.